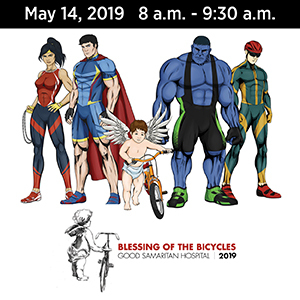 Bikeside LA reports that three cyclists were hit this morning at the intersection of Mulholland Hwy and Los Virgenes Road in Calabasas, with two cyclists transported to the hospital in critical condition. 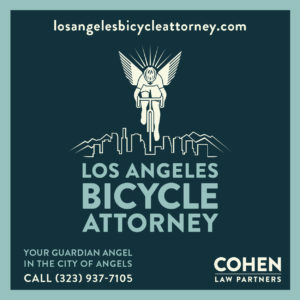 I’ve also received word that a bicyclist may have been killed in the L.A. area over the weekend. I’m still waiting for confirmation, and will provide any news as news comes in; if anyone has more information, let me know. 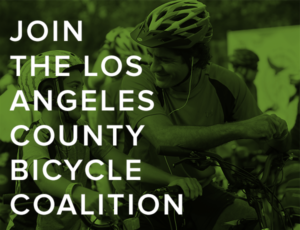 Update: The Daily News reports that the cyclists were riding west on Mulholland, and were struck by an eastbound car driven by an 81-year old woman that turning left onto Stokes Canyon Road around 7:30 am, the third cyclist received minor injuries. Update 2: Brent confirms the name I was given earlier of the cyclist who was killed, and provides a link to a Facebook page reporting that Doug Caldwell was killed and Scott Evans was injured on their way to work at JPL on Friday. Update 3: In the Calabasas collision, the Times now reports that three riders suffered major injuries, while a 4th rider suffered minor injuries and was released at the scene. KTLA has video of the aftermath. I was right hooked on my way home from work Saturday night. Broken clavicle – thank you very much. That was my second accident of the day. On my way to work a pedestrian stepped in front of me and bent my front wheel. I had the wheel trued that morning only to have it bent again when I has hit on my way home that evening. Sorry to hear about your injury Matthew. Best wishes for a speedy recovery. I don’t know how many times I’ve gone through that intersection on my bicycle. One of my friends was among these three riders, and is currently at UCLA with a fractured pelvis. 81 year old driver. How old is too old? I know this sounds very calm coming from me, but I don’t want to rush to judgment on this poor old lady. 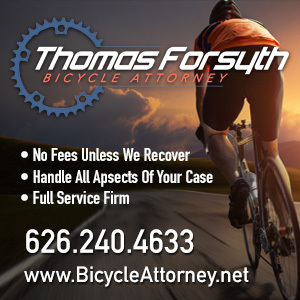 (Of course I feel even worse for the injured cyclists–don’t misunderstand me!) But I grew up in Florida, and got my 1st drivers license there, and have done a fair amount of driving all over that state, which has a large amount of retirees and elderly. I’ve seen a lot of elderly who shouldn’t be driving and a lot who drive very safely. To assume, 1st, that this collision was caused merely because the woman is elderly is just as agist against her as people are prejudiced against us as cyclists. 2nd, I feel we have very little detail about what happened to begin to demonize her (which is already happening around the web). At first glance, it looks like she did not yield to the cyclists, but no one wants to hit a cyclist–I doubt she gunned for them. My guess is that it comes down to what someone else said, that she misjudged how fast the cyclists were traveling. To me, that’s a failure on the part of driver education. Shouldn’t we be able to sue the DMV for fraudulantly licensing unfit drivers of all ages, etc? Perhaps the DMV should now include a reflex test, measuring response time. This is easy enough to setup with video game technology. I think the DMV should include simulator tests for all for renewal every 5 years as a requirement. The simulator could include driving around cyclists and pedestrians. I would never suggest that this person “gunned” for them. I live in the area, and this is the 2nd case that I am personally aware of where a driver of advanced age has taken out a cyclist. This one happened around the corner from my house http://www.toacorn.com/news/2006-09-21/community/022.html, and shattered the community. This is why I asked the question. We have to acknowledge that operating a motor vehicle requires skills that diminish as we age. Skills like “judging the speed of oncoming vehicles”. As you point out, judging the speed of and predicting the movements of cyclists is even more difficult. To say that the driver education failed here is incorrect – the real failure is that of certification. The DMV driver certification process is the last line of defense from drivers of advanced age whose skills have deteriorated to the point where they are dangerous. And it’s not just cyclists that have to fear for their lives – pedestrians and motorists also have to deal with this threat. /Rant over – I think I’ll go for a mountain bike ride. I keep using the same example…but in private aviation, we’re required to undergo an hour-long flight test with a private instructor every two years to maintain currency. Why couldn’t we implement some similar system for drivers? The 81 year old was traveling east bound at 7:30 am staring into the early morning sun! She probably didn’t even see them because of the glare and back lighting. This story gives some good info about the difficulties old people have with left turns. Thanks, Todd. Your timing was perfect, too — just when I needed it for my next post. We do not give our drivers enough training. We tolerate mistakes that kill people and call them accidents. Refresher courses and exams should be required every few years. Both physical and mental. When I went for my first license it was for a military drivers license. First I had to pass an eye hand coordination test. Then I was sent to a 16 hour course through the Washington state DMV. What I learned there has helped me on several occasions. Most people cram what little they know about the rules of the road into short term memory. This allows them to pass the driving test and there done. Our biggest problem with requiring more extensive training of drivers has to do with convincing the powers that be it is necessary. $$$$$$$$$ is more important than life.